Loudspeaker | No Vote For You? 29 Aug No Vote For You? Voter ID Laws are laws that require either a non-photo or photo identification to receive a ballot for a United State election. 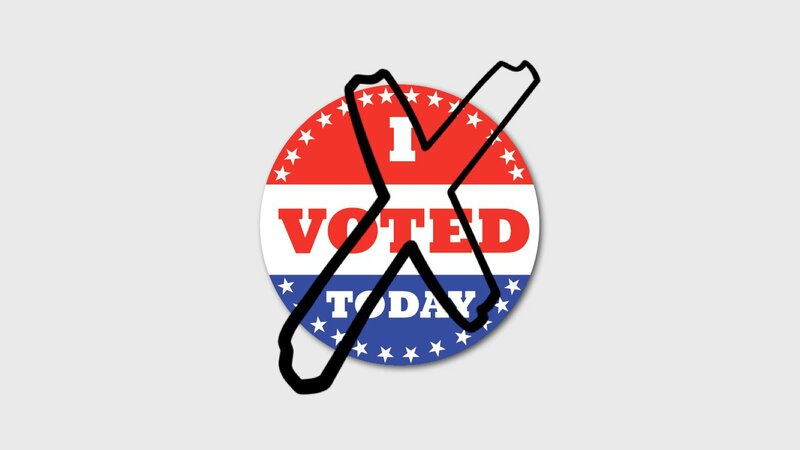 STRICT VS. NON-STRICT: In a Strict state, A voter has to first present an ID before getting an opportunity to cast a ballot. However, if a voter initially forgets to bring their ID and they bring it a few days later, the ballot will be counted. If not, the ballot will be thrown out. PHOTO VS. NON-PHOTO: As it sounds…If a state has a photo ID ruling, it the voter has to provide photo identification or answer personal questions correctly. On the flip side, other states provide a list of acceptable forms of identification (that don’t need to have a photo). Kris Kobach, Kansas Secretary of State, has one of the many officials leading the charge in stricter voting legislation. Kobach and others in support of the NEW Voter ID laws argue that voter fraud is dramatically effecting the democratic process. 5 states (Georgia, Indiana, Kansas, Pennsylvania and Tennessee) have the strictest voting regulations. Voters from those states must show photo ID at polling place or follow-up with election officials soon after the election if they fail to provide a photo ID when voting. This seems simple enough, right? Click here to see a longer clip of Kris Kobach defending the new voting regulations. On the other hand, protesters argue that government officials are making voter fraud a bigger issue than it necessarily is. For example, Kansas (the state where Kobach resides) reportedly had 221 incidents of voter fraud between 1997 and 2010. In addition, some people contend that the NEW voting requirements are not a simple process and suppress people from their right to vote. Journalist Bill Moyers reveals some of the people who are being muffled by these laws. 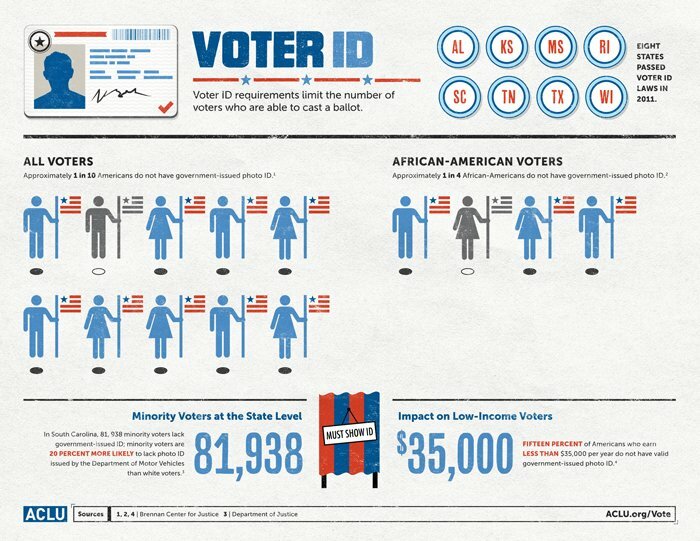 Voter ID Laws: Who Doesn’t Have Photo ID? from BillMoyers.com on Vimeo. With the upcoming 2012 elections, we wanted to present a couple of issues that might significantly impact the democratic process. The NEW Voter ID laws and re-setting of the electoral districts have become highly debated topics across the country. However, many have never even heard of these issues. The three speeches we are presenting in our podcast (below) argue against the Voter ID laws and re-setting of electoral districts. Loudspeaker is no way shape or form, here to promote a political agenda. Instead, we hope these speeches and our content start a civic discussion about a couple of issues that effect all of us. In addition to our podcast, we will attempt to deliver information that represents both sides of the issues. If you have any information that might help further this conversation, please contact us or post the info below. Part One: Jordan Johnson performs her Persuasion from the 2011-2012 speech season. Jordan currently competes at Doane College. Part Two: Amanda Stoffel performs her After Dinner Speech from the 2011-2012 speech season. Amanda currently competes at University of Nebraska at Lincoln. Part Three: Brock Ingmire performs his Persuasion from the 2011-2012 speech season. Brock competed at Kansas State University and is currently at the University of Kansas studying Law. Music: Part One features music from Houston Street Sounds. Part Two features “Blue Sox” by Arnaud Roy and “Gold” by The Gabriel Project. Part Three features music “Roulette” by The Plastic Jazz Orchestra and “Santa Leone” by Pajaro.